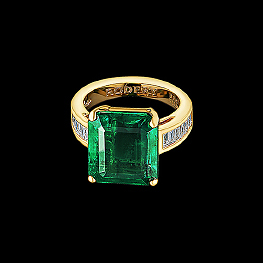 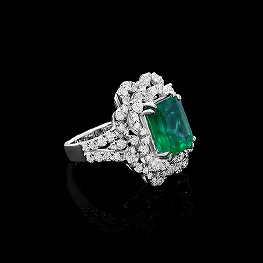 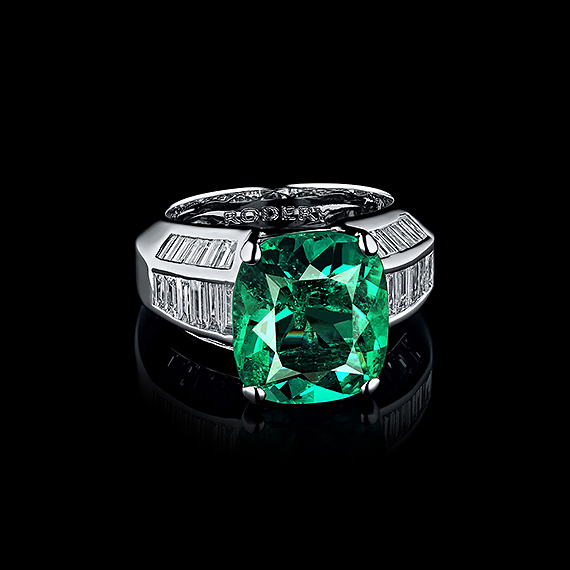 Emerald you see in this ring was born in Columbia, a homeland for the most precious gemstones in the world. 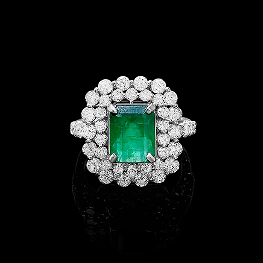 We encircled it in diamond frame with a common weight 1,33 carats. 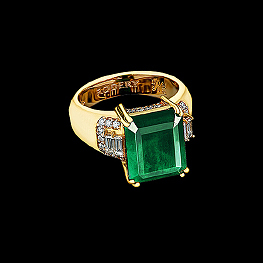 This sort of jewelry piece is not only a reliable and beautiful investment but also a genuine declaration of love.